I suppose it's obvious I've been feeling retro-inspired lately. The cool color schemes, dapper dress and emphasis on entertaining make me nostalgic for the atomic era. Here's a modern spin on a vintage theme for all you hip hosts and hostesses - cherries! 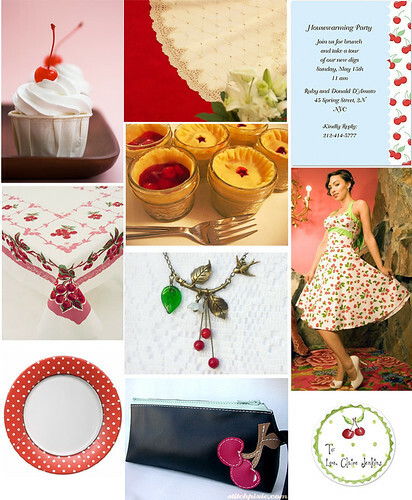 I think cherries are the perfect motif for a swell summer party, bridal shower bash or an adorable baby shower.